Designer duvet sets are essentially a complete set of a duvet cover and the comforter insert that the duvet cover itself slips over. Throughout the world duvet covers are known by many different names. In Australia they are called a doona, and in the UK they are called continental quilts. In the US duvets are commonly known as comforters, often a heavy and warm blanket that sits on top of the sheets on ones bed. There are many different styles and types of designer duvet sets available today as compared to the time they were thought to have originated. It is recorded through the recollections of an English man who was traveling through rural Europe in the middle of the 18th century, that the original duvet was a linen stuffed with the down feathers of the Eider Duck, the feathers being known for their insulating properties. Now you can find duvets, comforters, doomas, quilts, and the like made with most any material that best suits your style and your needs. Designer duvet sets come in many styles and materials, and depending on the region you live in some may be more common than others. There also varying degrees of price tags associated with duvet sets, especially when you are considering purchasing a designer set. Anything that is considered designer, especially items like duvet sets that require a large amount of material and careful craftsmanship to make. 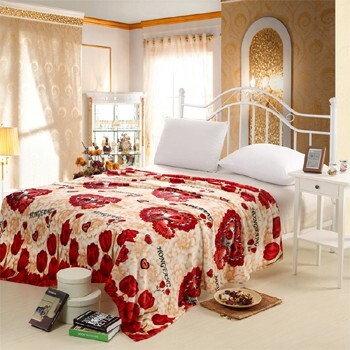 In the US duvet sets, or more commonly referred to as comforters, a popular style is a two piece set. The inside portion of the set is the blanket that is designed to keep you warm, usually filled with a material like down feathers, or a synthetic version of down feathers. People like the synthetic version of down for many reasons, one of the most prominent being that real down feathers can cause people with allergies to have bad allergic reactions. The synthetic types are often hypoallergenic, making them available for anyone to use. The outside portion of the duvet set is called a shell sometimes or a liner. This liner can be made from anytime of textile, from linen, cotton, microfiber (synthetic textile) or even silk. Depending on what you are most comfortable with, you can easily find a style that best fits your desire. With that being said, some materials will be more expensive and require more care than others. For example silk, which if it is real silk is made from the secretions of the silk worm which is indigenous to areas in Asia. Because of the rarity and delicate sought after nature of this material, it can be very expensive. Silk can also be very difficult to care for and maintain, which adds to the cost over all. Though as mentioned previously, depending on the region you live in or near, some material may be more or less expensive than in other areas. If you live in or near Asia where silk is more prevalent, it will be likely less expensive. No matter what designer duvet set you choose, as long as it is comfortable and made with quality craftsmanship, you are sure to be pleased.